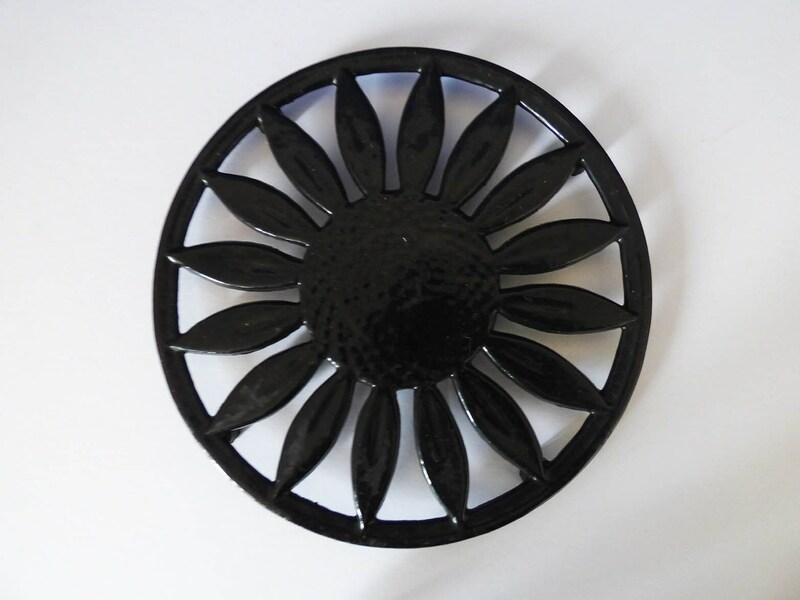 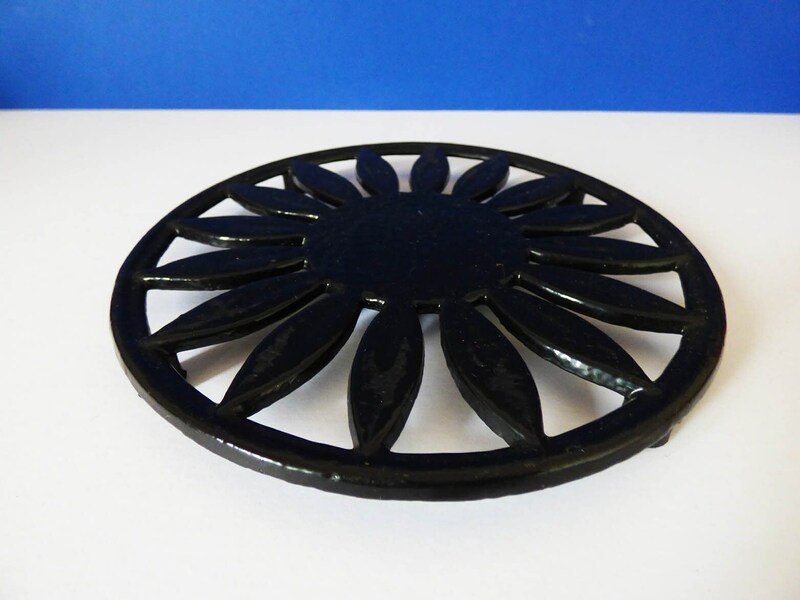 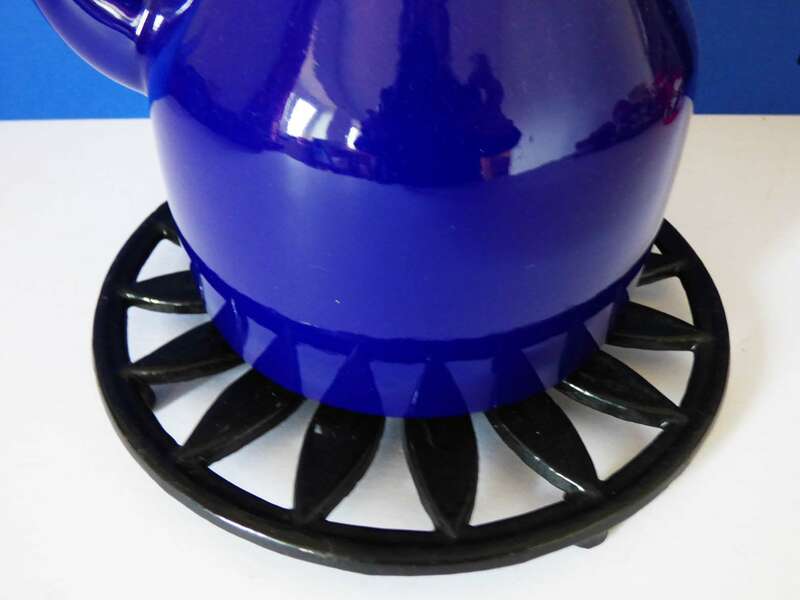 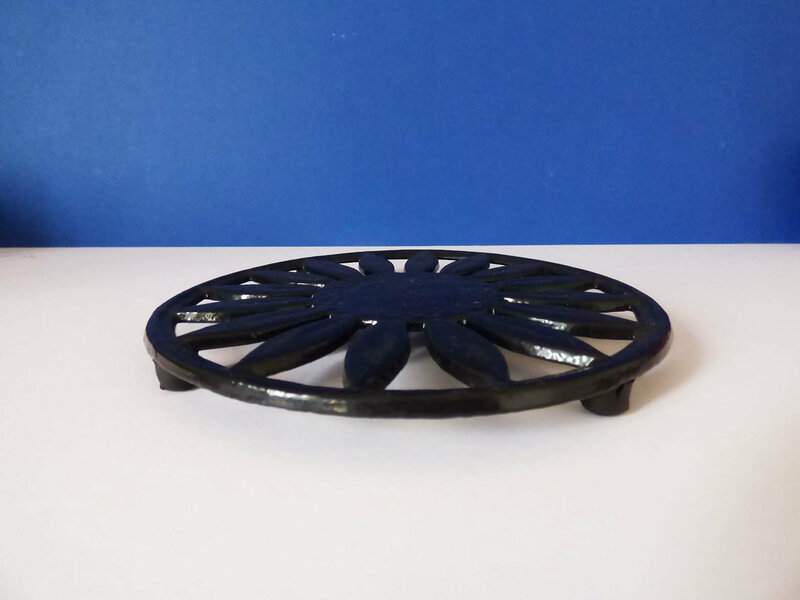 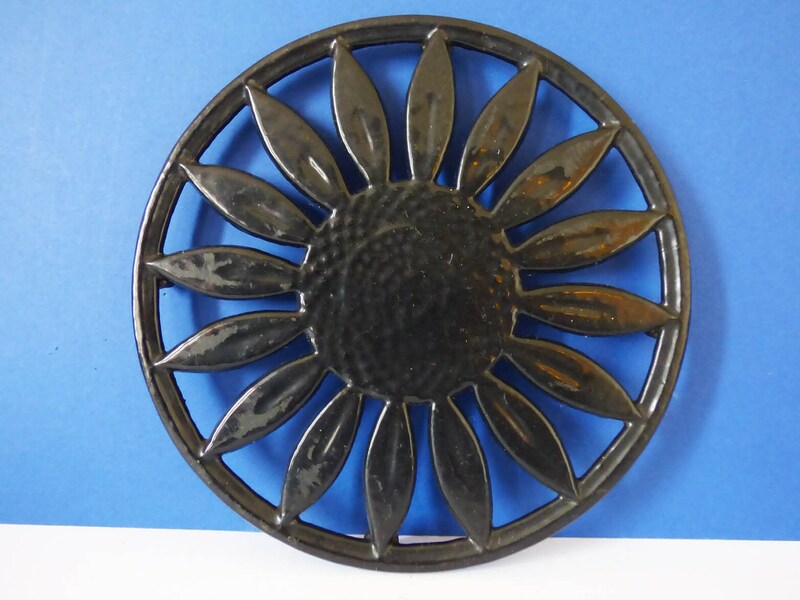 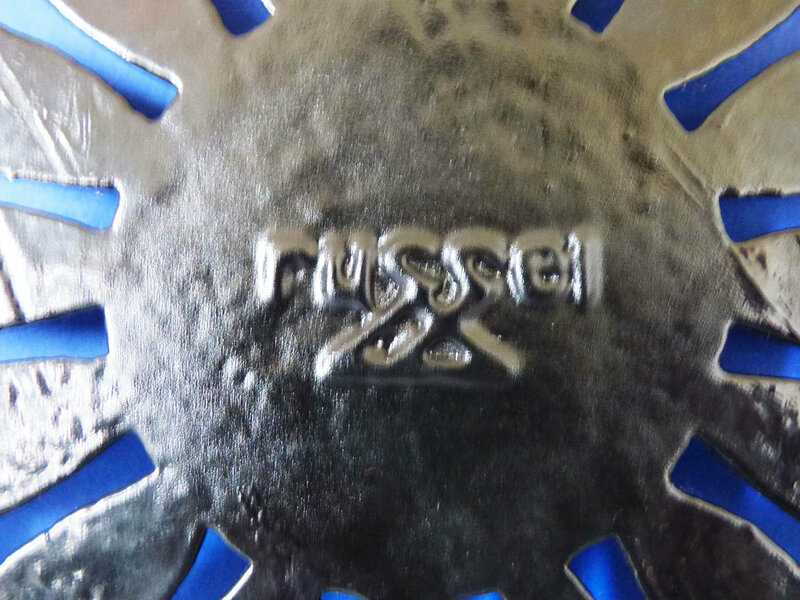 Lovely cast iron gloss coated sunflower shaped trivet, the trivets of a good size, complete with rubber base feet, these are removable should you wish to use the trivet on a stove or cooker. 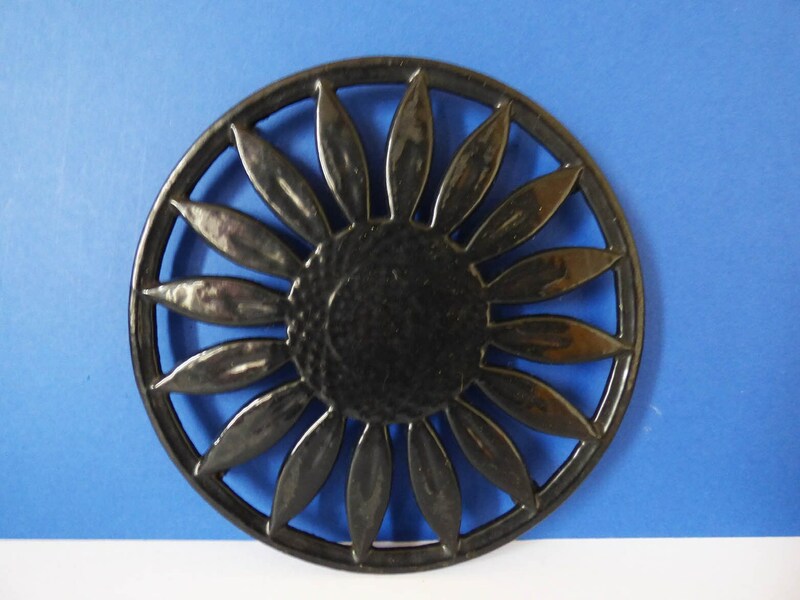 the trivet is in good vintage condition with some light surface scratches from use and would look lovely either at your table or could easily be attached to the wall. 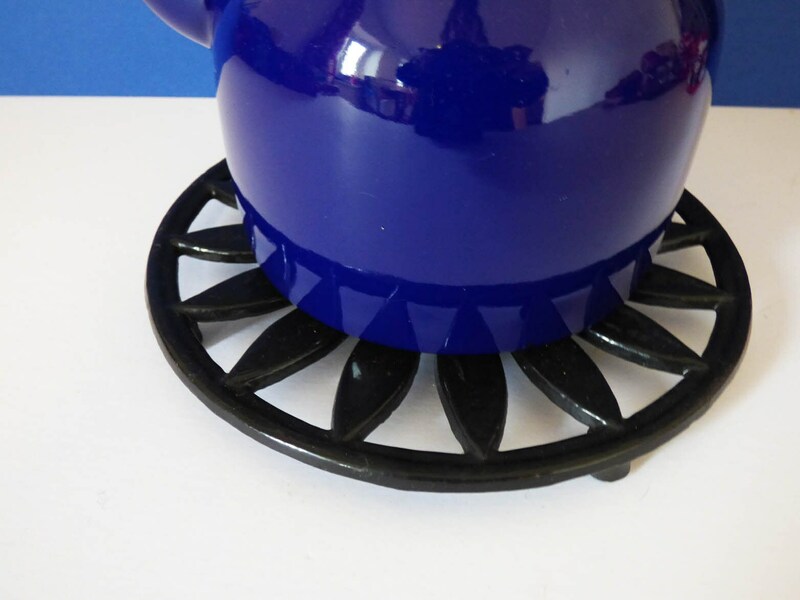 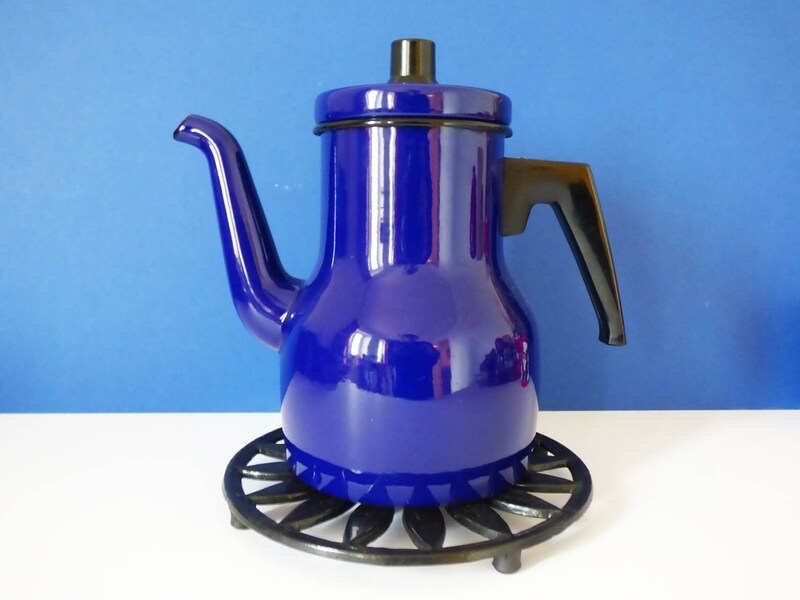 The lovely coffee pot is just to help you see the size of the trivet, and is not included, but may still be available in my shop. 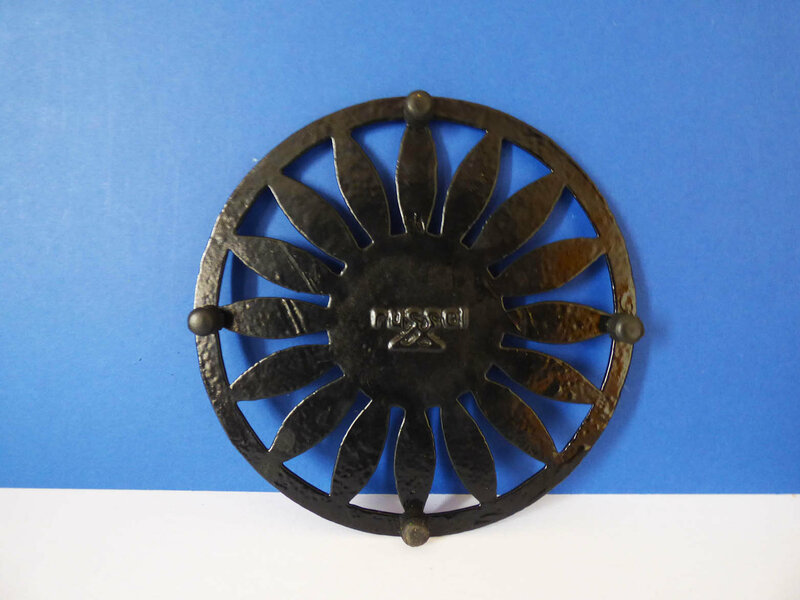 Love this trivet - beautiful and useful.